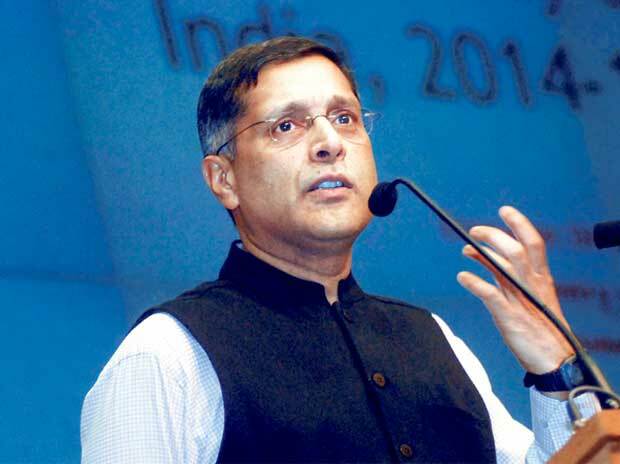 The Economic Survey for 2014-15, tabled in Parliament on Friday, presented an optimistic vision of India’s future. It predicted that gross domestic product (GDP), as measured using the recently revised estimates, would grow at a rate between 8.1 and 8.5 per cent in the next financial year. Further, it argued that a “historic moment of opportunity” had been created that could “propel India on to a double-digit (growth rate) trajectory” in the years following 2015-16. India was, it claimed, on the cusp of a high-growth path. However, the actual reform agenda the Survey laid out erred distinctly on the side of caution, rather than being the revolutionary programme widely expected to drive growth. In fact, the Survey stated baldly that big-bang reforms would not happen: “Big-Bang reforms as conventionally understood are an unreasonable and infeasible standard for evaluating the government’s reform actions.” Instead, it predicted “a persistent, encompassing, and creative incrementalism”, qualitatively similar to that already on display in the nine months of the Narendra Modi-led central government. Overall, the Survey laid out a coherent, if notably restrained, policy agenda — which differed in significant ways from the one currently being implemented.. In terms of prediction for the Budget, the Survey indicated it would likely “continue the process of fiscal consolidation”, but in a “limited” way. The Survey did unequivocally say that adhering to the medium-term fiscal deficit target of three per cent of GDP was “essential” for India’s credibility, and this should happen through “firm control over expenditures, most notably by eliminating leakages in subsidies”. However, the Survey moved the goalposts on the short-term fiscal deficit target. It noted that Saturday’s Budget would not be able to move far towards the medium-term target because of “exceptional” factors like implementing the transfers to states recommended by the 14th Finance Commission and “the need to modestly ramp up investment”. The numbers, however, tell a different story. It is true the Finance Commission has awarded states an additional Rs 1.16 lakh crore in transfers this year. However, the fall in oil prices is likely to give the government a windfall of over Rs 1 lakh crore — Rs 30,000 crore will be saved on fuel subsidy and about Rs 77,000 lakh will come in as additional fuel taxes. This means, in spite of the Commission recommendations, the task of sticking to the path of fiscal consolidation should not be difficult — calling into question the Survey’s assertion. The Survey estimated incremental GDP growth for 2015-16 over 2014-15 as 0.6 to 1.1 percentage points. The increase was based on four factors. First, what the Survey described as reforms conducted by the new government — these include such items as diesel price deregulation, higher caps for foreign direct investment in defence and the coal ordinance — would boost growth. Second, it was expected lower fuel prices would decrease costs in the economy and moderate inflation. Third, the hoped-for monetary easing would stimulate investment and encourage household spending in interest-sensitive sectors like consumer durables. Finally, the monsoon is projected to be better than last year’s. On subsidy control, while accepting that direct benefits transfers (DBT) were a laudable goal of policy, the Survey pleaded developing the state capacity to implement DBT “will take time”. Other ways to plug subsidy leakages, such as the Rs 10,000 crore from kerosene, needed to be implemented first. In general, on the immediate future of the reforms agenda, the Survey outlined a politically cautious plan: The conversion of ordinances into legislation, and the ratification of the goods and services tax (GST). The Survey pointed out that a single GST rate across goods and services was essential to maximise the reform’s growth-enhancing power. Direct tax reform was also suggested, to incentivise saving and increase the tax base. However, factor market reforms at the Centre, such as to labour law, were not prioritised, with the Survey indicating those changes would continue to be led by states. One major reform suggested was the creation of a single market for agricultural goods, overruling individual states’ agricultural produce marketing Acts. Persuasion could be tried; if not, the Survey suggests unilateral action by the Centre, perhaps even a Constitutional amendment, though that would be “contrary to the new spirit of cooperative federalism”. The Survey also reminded readers of the advantages of foreign direct investment in retail, which would fill in the agricultural supply chain. It was suggested, however, that the government might completely privatise some public-sector banks. The bad loans crisis required a “full menu” of options to be on the table, the Survey argued, including treating different public-sector banks differently — “selective recapitalisation, diluted government ownership, and exit”. It was noted that differential recapitalisation had already been tried. On inflation, the Survey estimated that consumer price index (CPI) -based inflation would be between five and 5.5 per cent, and the GDP deflator would be between 2.8 and three per cent. Given that this would be close to the Reserve Bank of India’s comfort zone, the Survey insisted rate cuts would be on the cards. Inflation decreases will be driven not just by cheaper oil but by lower global prices for agricultural commodities, lower inflation expectations (based on a drop in the most recent RBI survey) and a striking collapse in rural wage growth. On the external sector, which has been fragile in recent years, the Survey argued the major problems were over: The current account deficit would be down to one per cent of GDP in the coming financial year, it predicted. Indeed, it said that too much rather than too little foreign capital would be the problem in the coming year. Financial flows would be in excess of $55 billion, sending up reserves — and creating pressure on the rupee to strengthen. The Survey suggested targeting $70 billion or $1 trillion in reserves over the long run, which would as a corollary likely control the appreciation of the rupee. Exports would need a boost for a growth impulse, the Survey argued, but Indian exports faced twin headwinds. First, global growth, and thus demand growth for Indian exports, had slowed. And second, Indian trade responded less to even little bits of global demand than it had earlier. Worst of all, India would face being frozen out of world trade, unless it joined big integrated trading zones like the US-led Trans-Pacific Partnership — but that would require moving much faster than “India’s planned pace of domestic reform”. Reviving investment, the Survey said, was “a clean-up” problem. It suggested the “setting up of a high-powered independent renegotiation committee” that would “involve external experts for a quick and independent resolution of the problems” faced by public-private partnerships. In the short term, however, public investment, especially by Indian Railways, would be used to “crowd in” private investment, which was struggling, thanks to stressed balance sheets. The Survey also argued cutting fuel subsidies and increasing cesses on coal mines meant that India had shifted from a carbon subsidy to a carbon tax overall. It suggested India’s international commitments could begin with focusing on this and further changes to carbon pricing and by ambitious solar power targets. Finally, the Survey conducted a sophisticated economic examination of Prime Minister Narendra Modi’s pet ‘Make in India’ programme, and found it wanting in many ways. Running contrary to reports of the government’s inclinations, it warned against a dependence on sector-specific tariffs and intervention to grow manufacturing, given India’s poor experience with such policies. It also argued that ‘Skill India’ was as important as ‘Make in India’, and that the two were, in fact, interdependent: “It turns out that registered manufacturing is a sector that is relatively skilled labour intensive.” The Survey pointed out several sub-sectors of services had employment generation prospects identical to manufacturing. If India persisted with a skill-intensive model, the Survey admitted, “one or two generations of those who are currently unskilled will be left behind without the opportunities to advance”.